A U.S. patent application is automatically published 18-months after the earliest effective filing date unless a Nonpublication Request is included with the patent application filing papers. A patent application for an invention is required to be published if it is subject to a foreign patent application or an international patent application – or if the applicant intends to file such a non-U.S. patent application. Neustel Law Offices has published a detailed article called Patent Application Publication which provides additional information regarding the publication of patent applications including publication strategies. PAIR Master is a software product developed by Neustel Software, Inc. to provide for simple downloading, viewing and management of USPTO Private PAIR documents listed in a Private PAIR Correspondence Notification e-mail from the USPTO. You can download the free beta release at www.PAIR-Master.com (the beta version automatically expires January 1, 2010). A ceremony was held yesterday by the USPTO where Director Kappos awarded design patent number 600,000 to a business located in Spanish Fork, Utah. Senator Hatch attended the ceremony. 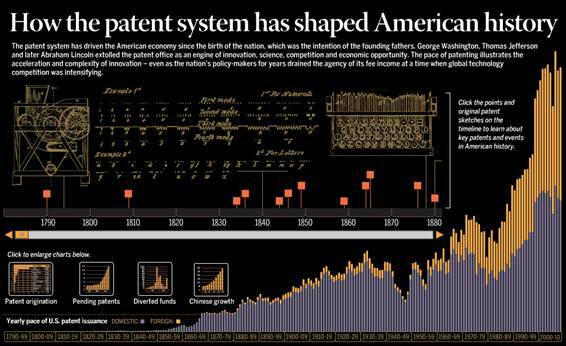 The Milwaukee Wisconsin Journal Sentinel has a great interactive chart showing how the patent system has shaped American history. See the interactive chart at http://www.jsonline.com/business/53244432.html. Admitting that the law surrounding 35 U.S.C. 101 relating to what is patentable subject matter is in “flux,” the USPTO has provided to its Examiners some interim guidelines to assist in the examination of patent applications. While the guidelines do not provide any substantive law changes, they do provide some valuable insight into how USPTO Examiners will be examining patent applications. See the Interim Guidelines.